Why is Mavis Spitforce dressed as a pumpkin? Can Irene Peggledrip really talk to cats from the spirit world? Did Milky Myers murder his family on Halloween, longer ago than anyone can remember? All questions the pair must answer before the case can be solved. As the November fog closes in, where will the killer strike next - and will there be enough samosas to go around? While it goes without saying that my favorite mysteries are cat cozies, this series goes a step beyond that with the entire cast of characters comprised solely of cats. That's right...in this little world there are no people, just cats. Book me a one way flight, please!!! Hettie Bagshot and her sidekick Tilly have opened up the No. 2 Feline Detective Agency in order to help pay the rent on their back room apartment in a bakery. As this second book in the series starts it's Halloween night and the two ladycats have planned a spooky night in, complete with dinner, pumpkins and paper chains as decorations, and a scary movie. Talk comes around to the story of Milky Myers, a legendary cat whose rise to fame came after he allegedly murdered his entire family one cold October morning and then disappeared. The story has resurfaced since being written about in a book by the town historian, Strange But Trues. (Tilly is an avid mystery reader who always has a stack of library books on her blanket by the fire.) Now Milky Myers is rumored to be a ghost who appears on Halloween until a series of murders has everyone wondering if he's really a ghost after all! 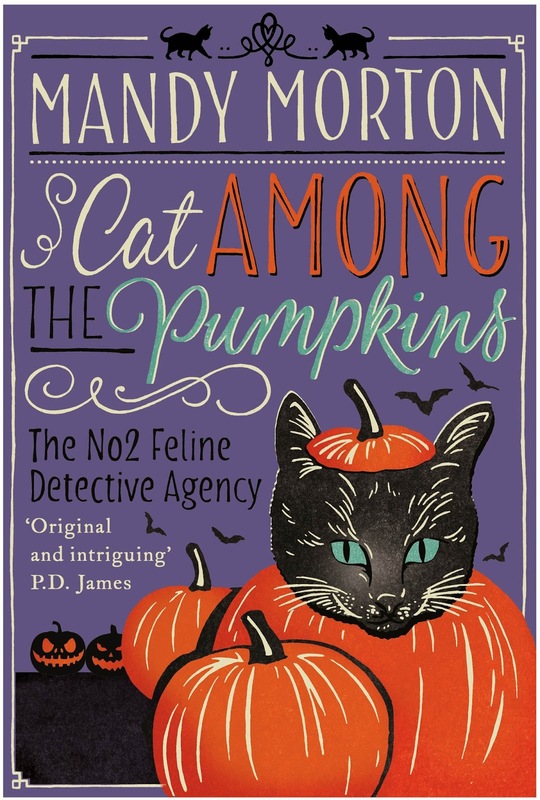 While reading these brilliant little stories I find myself completely absorbed in Hettie and Tilly's cozy world; I only wish I could grab a mug of cocoa and join them in purrson. 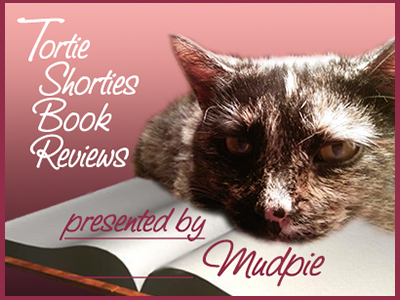 Each kitty has their own unique cat-like personality and the humor is delightfully irreverent (wait until you see how Hettie handles the dearly departed). These books are unlike any cat cozy you've ever read, guaranteed! My human LOVES the cover of that book! She is dying to know who the designer was. A world with all cats ... count me in! I read the first book in this series and loved it! So original and so funny! Glad to see there's a new one. A cast entirely of kitties, starring in a Halloween mystery? Count me in! This sounds like such fun! Thanks, Melissa (and Mudpie). I definitely need to look into these. Wow, all cats! I will definitely have to read this one! This sounds like a good book. I'll put it on my "to read" list! That sounds great and the cover is too cute. Whoa! You got an endless supply of cat books, don't you MP.